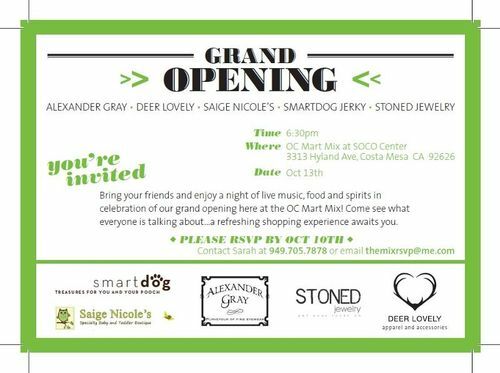 Grand Opening @ OC Market Mix at SOCO Center. 6:30 pm. Enjoy live music, food and spirits. RSVP to themixrsvp@me.com.